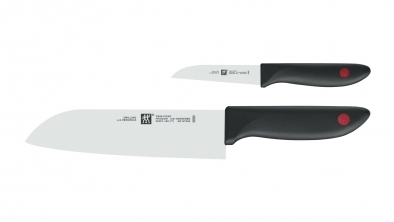 TWIN Point knives are the perfect entry level knife for those who appreciate high quality steel and a modern, sleek design. 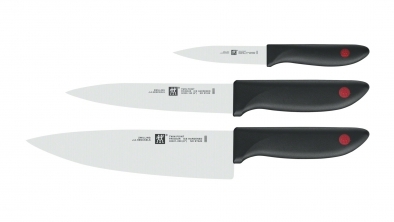 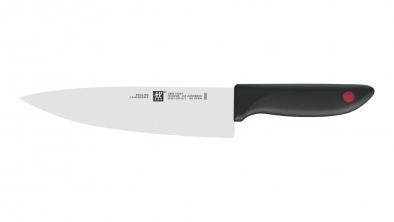 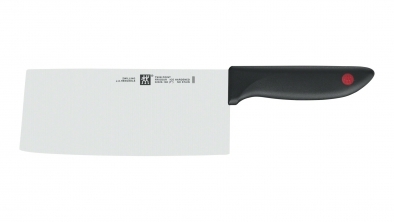 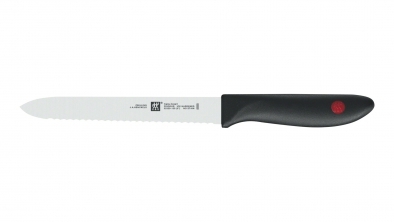 ZWILLING special formula steel features an impressively well-balanced combination of chrome and carbon, which is the secret to producing a steel of supreme quality. 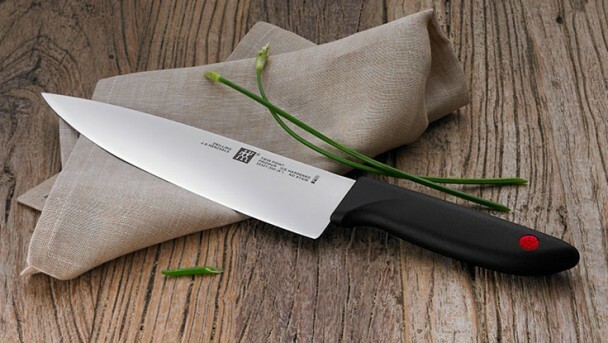 A special ice hardening process is also used to guarantee the quality of FRIODUR branded knives, which are corrosion-resistant, flexible and have even better edge retention. 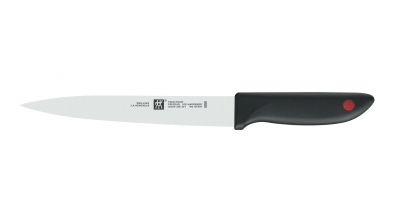 A minimalist handle made from non-slip plastic. 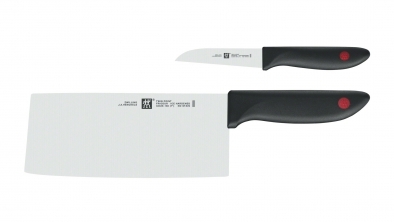 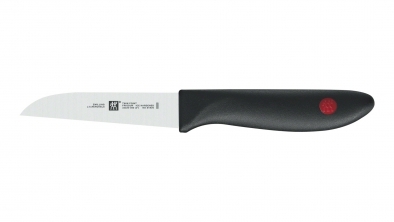 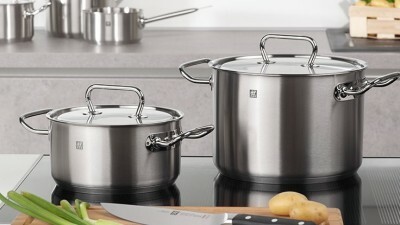 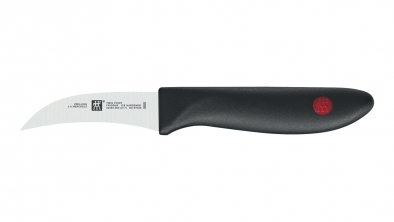 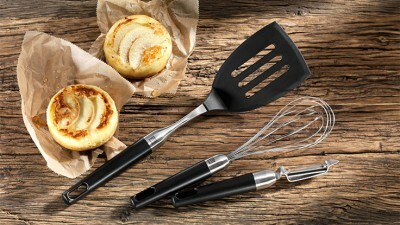 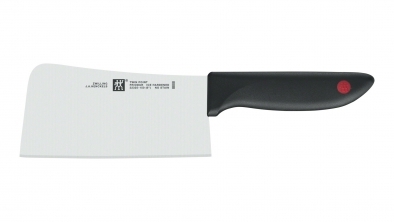 The end of the handle features a red ZWILLING logo for added elegance. 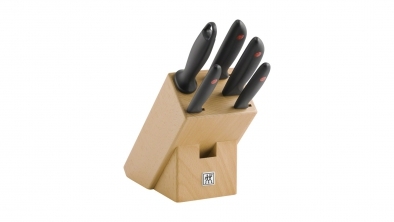 Knife block, natural wood, 6 pcs. 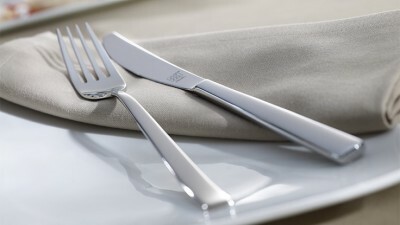 SENSES combines classic beauty with the highest quality.